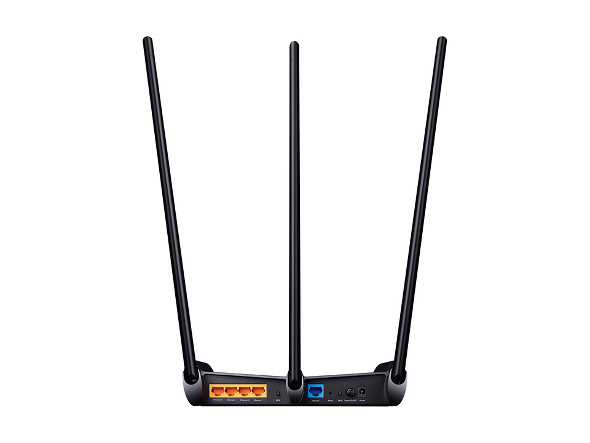 Boost Your Power, Boost Your Coverage 450Mbps High Power Wireless N Router TL-WR941HP Designed to be Powerful The TL-WR941HP uses independent high power amplifiers and high gain antennas to provide a superior wireless experience. High Gain External Antennas High gain antennas boost the reception and sensitivity of the router to create stronger connections over greater distances. 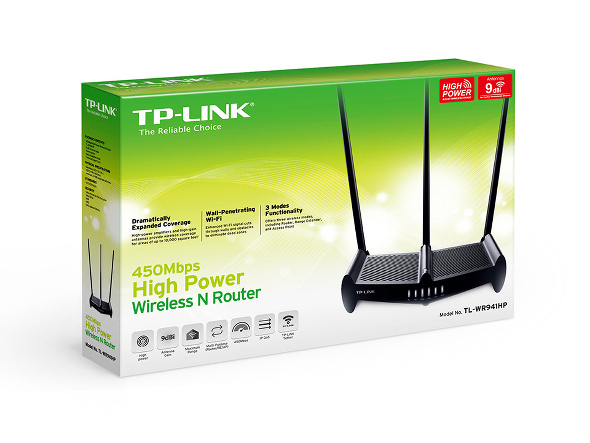 This allows the router signal to travel farther and provide stable Internet access for all of your most important connected devices. 9dBi Independent High Power Amplifiers Independent high power amplifiers provide significantly increased output power of up to 1000mw*1, which is up to 5x transmission power, when compared to a normal router. This ensures that your wireless signal is strong enough to penetrate walls and other obstacles. high power amplifiers Superior Range – Up to 10,000*2 Square Feet With its upgraded hardware, the TL-WR941HP easily outperforms standard routers, providing dramatically expanded wireless coverage and connections that are significantly more reliable. You can enjoy high speed Wi-Fi in every part of your home, in your garage, and even in the backyard. 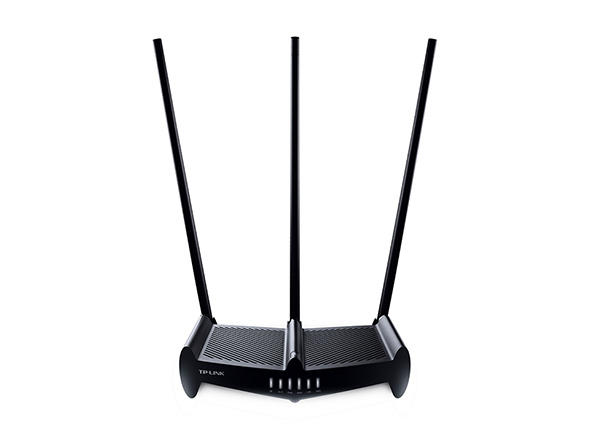 Normal Router TL-WR941HP 10000Square Feet Wall-Penetrating Wi-Fi The signal from the TL-WR941HP can remain strong, even after it has passed through walls and barriers. This helps to eliminate Wi-Fi dead spots and ensures that your wireless signal will remain stable over longer distances. Now you can enjoy reliable Wi-Fi in even more places. More than a Router In addition to serving as a wireless router, the TL-WR941HP can also function as a range extender or wireless access point, providing you with the flexibility you need in any situation. RouterMode Range ExtenderMode Acess PointMode Internet Router 450Mbps – The Ideal Choice on 2.4GHz With the 450Mbps wireless speeds on 2.4GHz Wi-Fi band, the TL-WR941HP can work smoothly with almost any bandwidth intensive application including VoIP, HD streaming, or online gaming, without the lag.